The Office for Democratic Institutions and Human Rights of the OSCE (ODIHR) launched officially at the begining of this week the mission of 18th parliamentary election observation in Albania. 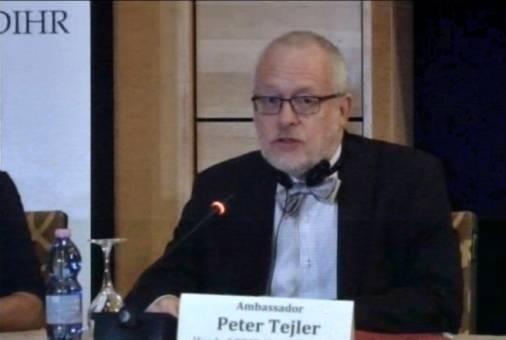 The head of the OSCE / ODIHR Election Observation Mission, Ambassador Peter Tajler, said he would report after the election day on the progress of the process. "We know that this process will be opposed by some parties, but our task is transparency. We will refer to the whole process rather than the race between the political parties. The decision to compete is a political decision, but we are here to monitor the election. We can not talk about whether the opposition's position is right or not. Our mission is to observe and not to make assessments "- said Mr. Tejler. The OSCE / ODIHR Election Observation Mission is expected to have about 300 short-term observers across Albania on Election Day.